Midfielder Carmel Úhila may not be based in Tonga, but she holds great pride at representing the nation of her ancestors. 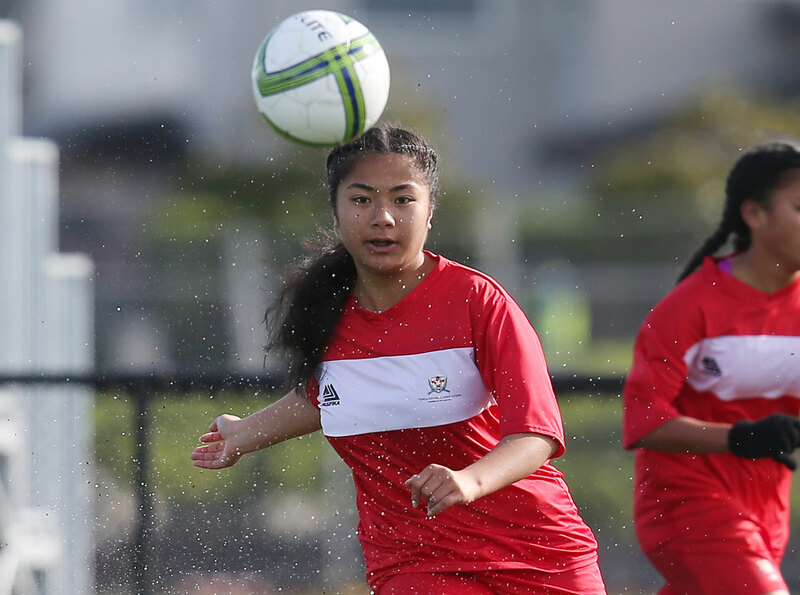 Úhila, who is living in Auckland and attending St. Cuthbert’s College, just turned out for Tonga at the OFC U-19 Women’s Championship and next month will make her second appearance for the Tonga U-16 national team at the OFC U-16 Championship in Samoa. The 15-year-old made her international debut at last year’s OFC U-17 Women’s Championship in the Cook Islands and said the excitement of playing for Tonga still hasn’t worn off. “I am so excited and looking forward to the tournament in Samoa, and there are six girls in the U-19 who will join me in Samoa which I am also looking forward to,” she said. “I wish to thank Tonga Football for the opportunity that allows me to represent Tonga, I know it is not an easy decision to put together a team. “But it is possible to represent your country even if you live abroad, you just have to work hard to earn a place in the team,’’ she added. Úhila said to learning she was in both teams was exciting, and showed her that the hard work she had been doing had paid off. “I did a lot of training with my school football team also with my football club, Central United. Juggling her sporting achievements with academics isn’t easy but Úhila says the support she receives from the people around her helps. ‘’I don’t find any difficulties with my education, as my teachers put extra effort in preparing my notes and provide some of my assignments ahead of time. My coach at school football team also have extra training with me in term of preparing for this tournament, and I’m so grateful for their effort in supporting me,’’ she added. While Tonga prepared for the two tournaments at home, Úhila remained in Auckland linking up with her international teammates when they arrived for the U-19 tournament. The Tonga’s U-19 head coach, Christian Koaneti was pleased with Úhila’s performances for his side during the tournament at Ngahue Reserve and is also proud to see her included in the U-16 squad. “I really support Carmel being included in the Tonga U-16 team as she has been one of my key players in this tournament,’’ Koaneti said. “I wish to congratulate her and the rest of my girls that will go down to U-16 and urge them to continue to do their best in the U-16 tournament even though I am not the head coach,’’ he said. Úhila returned to Tonga following the conclusion of the OFC U-19 Women’s Championship where she is building up to the U-16 event with her teammates before they fly out to Samoa.